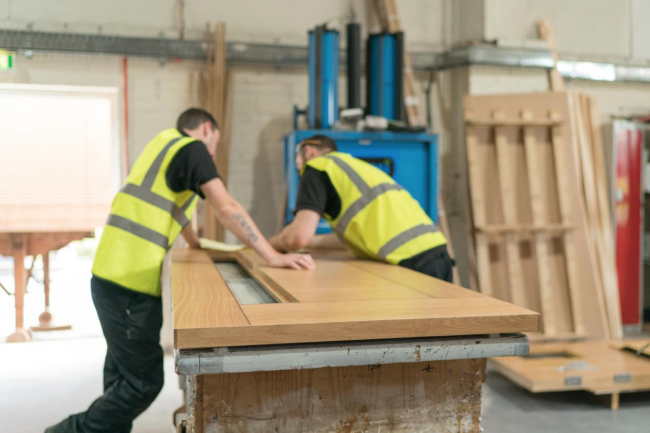 Leading door manufacturer, E & SW Knowles, is urging other manufacturers not to compromise quality over price, no matter how challenging things get. Increased global competition and the impact of Brexit has left many UK businesses navigating their way around multiple challenges against the backdrop of widespread austerity. Earlier this year, the country’s manufacturing sector recorded its biggest fall in production in more than five years. Figures released by the Office for National Statistics revealed that outputs had dropped by 0.5%, the largest fall since October 2012. Meanwhile, the British Chambers of Commerce recently cut its UK growth forecast for this year and warned that the economy faces its weakest year since the financial crisis in 2009. Managing Director, Steve Horner explained: “During times like these, it’s not uncommon for manufacturers to feel pressurised to reduce their costs. However, as common as it may be, it can come at a price. 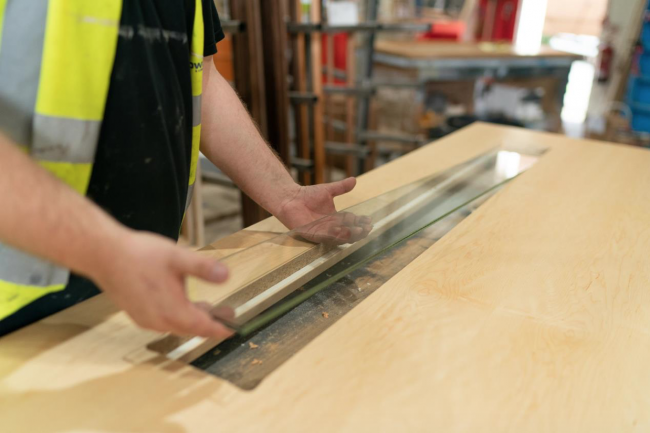 Having led the door manufacturing industry for the last 95 years, we know only too well that cheaper materials from sources that aren’t sustainable are often used to reduce costs which, in turn, can compromise safety and contribute to incidents, such as fires. The warning comes after the Birmingham-based business announced that it has invested more than £250,000 in its processes, equipment and workforce. Part of wider expansion plans, the investment is aimed at helping safeguard the company’s future and operate on a global scale as the UK’s manufacturing sector becomes increasingly competitive. The company has invested £25,000 in automated handling tools, which are designed to help its factory floor staff work smarter, safer and swifter. It has also spent £250,000 on a brand new Cefla UV roller coating line for the factory floor, which will improve lead times by 2 to 3 days. Committed to providing its customers with high quality products and high end manufacturing, E & SW Knowles is also renowned for its specialist knowledge about door standards, extensive experience, having no brand affiliations and fast lead times, thanks to industry-leading processes and cutting-edge technology, including the Cefla UV roller.